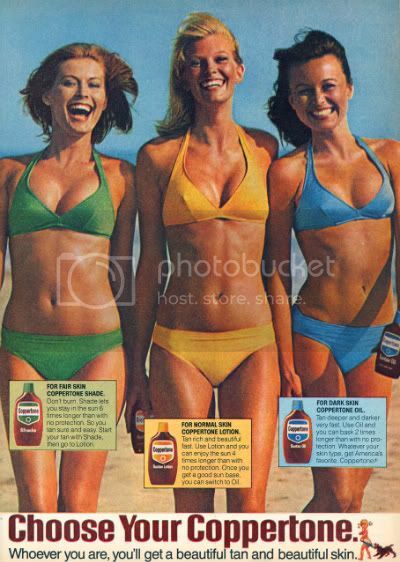 Coppertone tanning lotion in three different formulas for "fair", "normal" or "dark " skin, in which all three -- including "normal" and "dark" -- refer to the skin belonging to white people. That's funny, considering that the text reads, "Whoever you are, you'll get a beautiful tan and beautiful skin." But I don't need to tell you about the problematic nature of tanning culture.